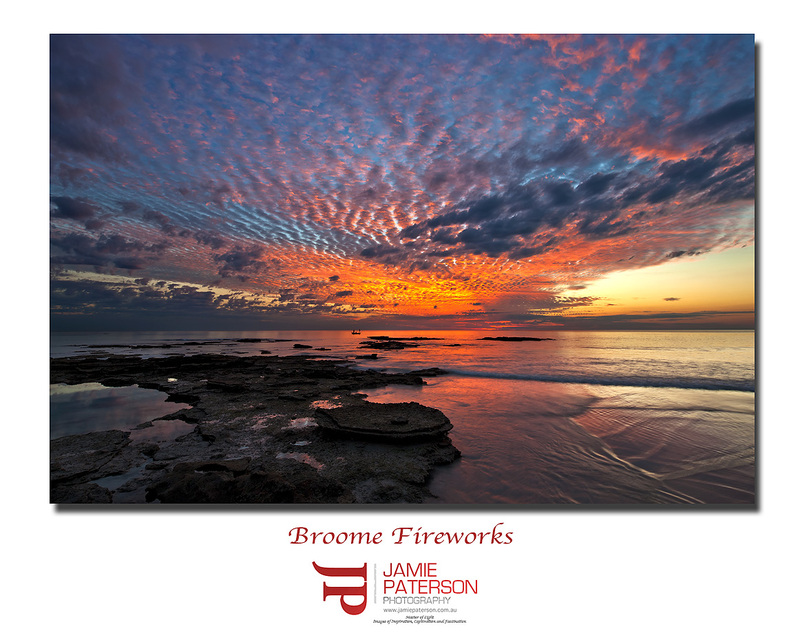 This entry was posted in australian landscape photography and tagged beach, broome, cable beach, corporate gifts, landscape photography, sunset, western australia. Thanks Merv. How was the trip? Good Jamie. Off road most of the time, camped in some out of the way places. Didn’t get too many useful shots but had a good time , as usual. Sweet Shot Jamie. Love the colours and the blending. Hey Ben. Thanks for that mate. It would be awesome to be there now wouldn’t? Hi Chloe my Instagram buddy. No problems about the help via email. I can’t wait to see what you come up with. Thanks Adrian for the comment mate. I’m not out shooting this weekend. Not at the moment anyway. Melissa has quite a few commercial shoots on this weekend so I’m looking after the boys. I might sneak down to Trigg tomorrow morning post sunrise for a bit but not sure. Looks the goods to Jamie! Thanks Tim. I got pretty lucky that night. Thanks Marky Mark. Can’t wait to get back up there. Hi Peta. I certainly can’t wait to get back.